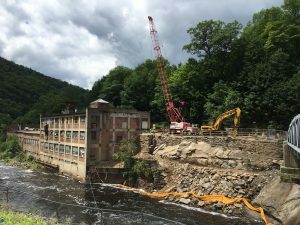 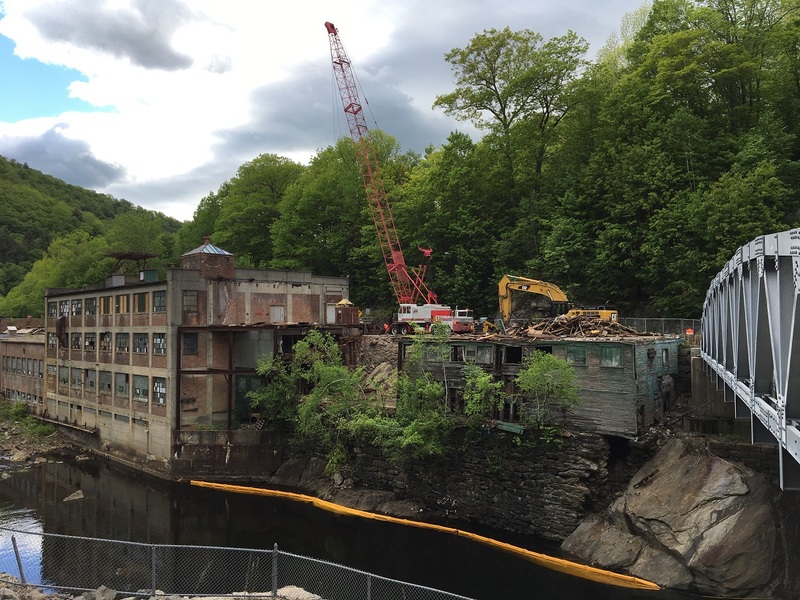 The Town of Monroe and it contractors are completing the clean-up and demolition of the collapsing wooden building at the former Ramage Paper Mill. 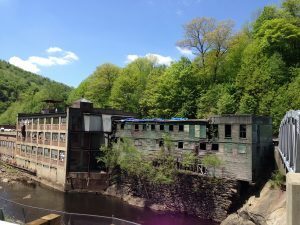 Funding from the Franklin Regional Council of Governments (FRCOG) Brownfields program, the Executive Office of Environmental Affairs and Great River Hydro (formerly TransCanada) is supporting this work. 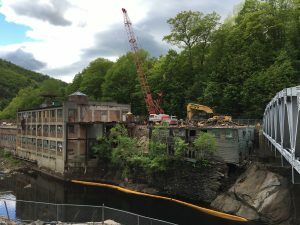 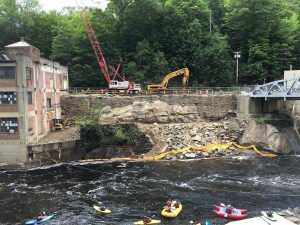 Concerns about potential impacts on the Deerfield River and public safety led the Town of Monroe to remedy this situation, with the assistance of the FRCOG, after repeated requests to the property owner went unanswered. 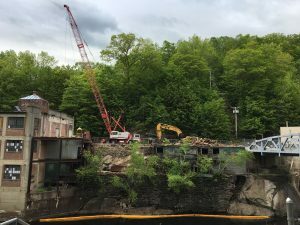 The next stage of this project is to design, engineer, and construct an overlook park on the site, as funded by the Executive Office of Environmental Affairs.